Show Notes: up to 400 words including episode summary, guest bio, and necessary links. Launch planning, consulting, and execution. Intro and Outro creation including writing and voiceover recording. 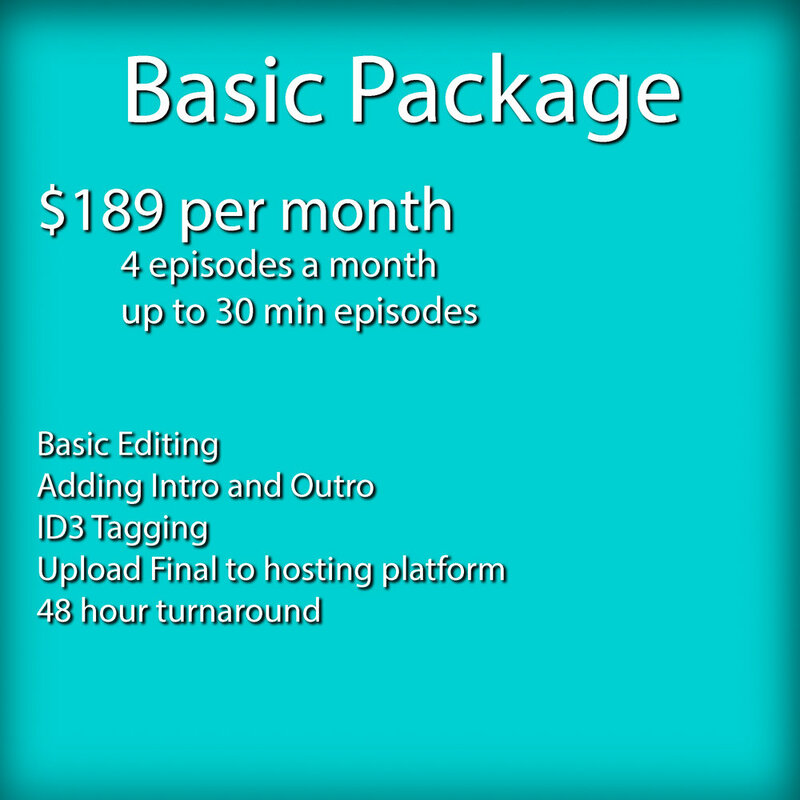 Distribution system that is user friendly for the podcaster to take over.